At Vani Vision, we believe strongly in giving back to the community and caring for the eyes of all those in need. Outreach programs represent an opportunity to show the community the level of commitment Dr. Patel has to his community. Dr. Patel has participated in Georgia Lions Lighthouse, Luxottica Vision’s One Sight, Luxottica Vision’s Gift of Sight, Essilor’s Kids Vision for Life and World Sight Day. 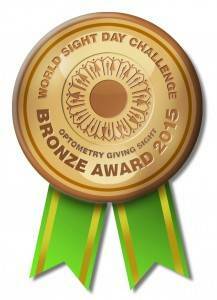 For 2 years in a row, Vani Vision participated in the World Sight Day Challenge to fight blindness. 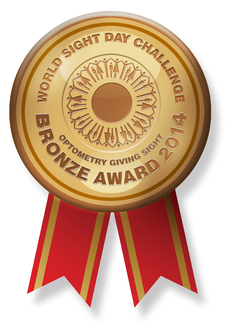 The 2015 World Sight Day Challenge was the most successful yet! We were one of over 300 practices who participated, raising funds to achieve levels of achievement, and we won the Bronze Award for both years. Please use these badges as a year-round reminder to support charities and make an effort to end refractive error blindness.